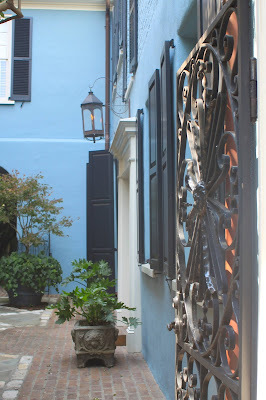 I receive a lot of emails from fellow bloggers and readers who are planning a trip to Charleston, asking what the best things to do are and where to eat, drink, and stay. 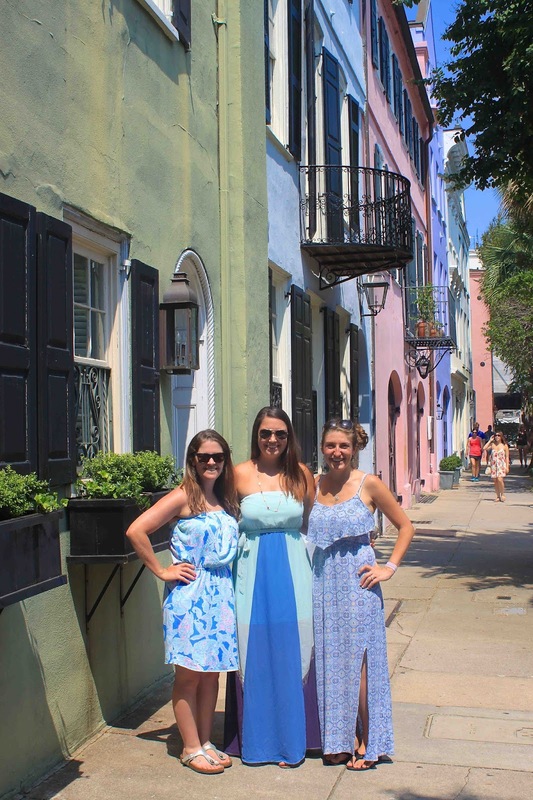 When Macy from To Travel and Beyond mentioned that she'd never been to Charleston before, we knew that we HAD to plan a weekend for her to visit. She told me that she didn't have any preferences of what to see or do while here, so we did everything that I would consider a perfect Charleston weekend: tons of food and drinks, walking it off for miles, and stops at all the best/most beautiful spots in the city. Macy arrived in Charleston on Thursday night. We started our weekend adventuring on Friday around lunchtime at Sullivan's Island. Poe's Tavern has delicious burgers, tacos, and fries, all with names inspired by Edgar Allan Poe who was a Sullivan's Island resident when he was stationed at Fort Moultrie, right down the road from the restaurant. We sat outside, enjoyed a few beers, and left stuffed to take a walk on the beach. We literally walked a mile down the coastline, talking about everything. How awesome is it to have blog friends who you already know so much about and can instantly connect with?! 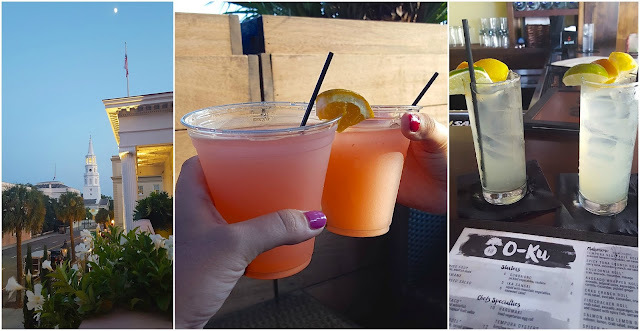 Obviously, we ate and drank through much of the weekend: happy hours at O-Ku, Star's, and The Barbadoes Room, coffee at Kudu and Caviar & Bananas, poolside beers - we did not discriminate! 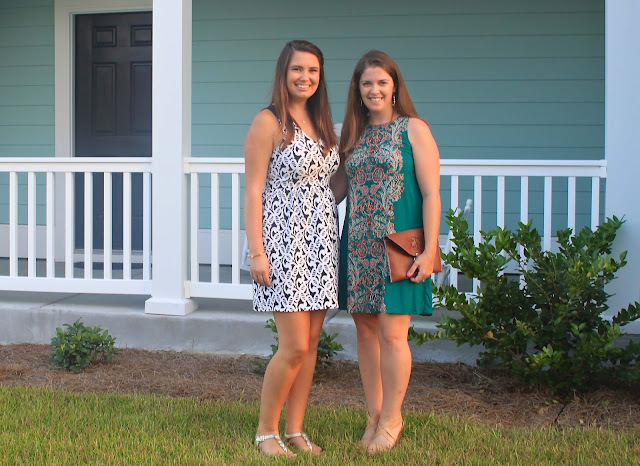 We met up with Jacquelyn from The Lowcountry Mama (come back to blogging soon, friend!!) and her family on Saturday after coffee, breakfast, and popsicles at the Farmer's Market. We played with her baby girl in the Pineapple Fountain and took a stroll all around the Battery and South of Broad. Macy's trip also coincided with Charleston Restaurant Week, so on her final night, we got all dressed up (top photo in this post!) and headed to drinks followed by a delicious three-course meal at 82 Queen. They have some of my favorite Southern food in the city, and the prices are unbeatable at every participating restaurant all over the city this time of year. If you're in the area, Restaurant Week runs through next Sunday! It was the most wonderful weekend, and I cannot wait for our next trip together! 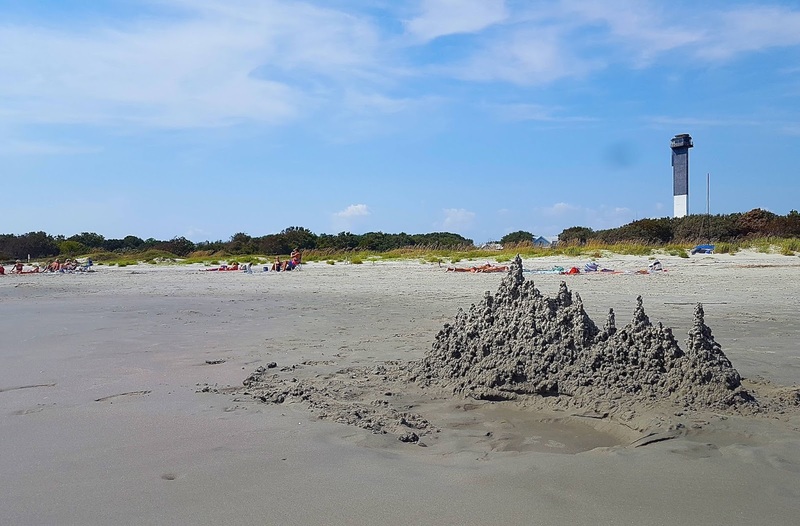 Today I'm linking up with Biana for Weekending. amazing rec's! and how pretty do you two look in that top photo?? i love restaurant week. we have some of that going on right now and it can't be beat! I love your dresses in these photos! Oh goodness, I love your city - can't wait to get back and try some new restaurants, including 82 Queen! Mmmm... Poe's! 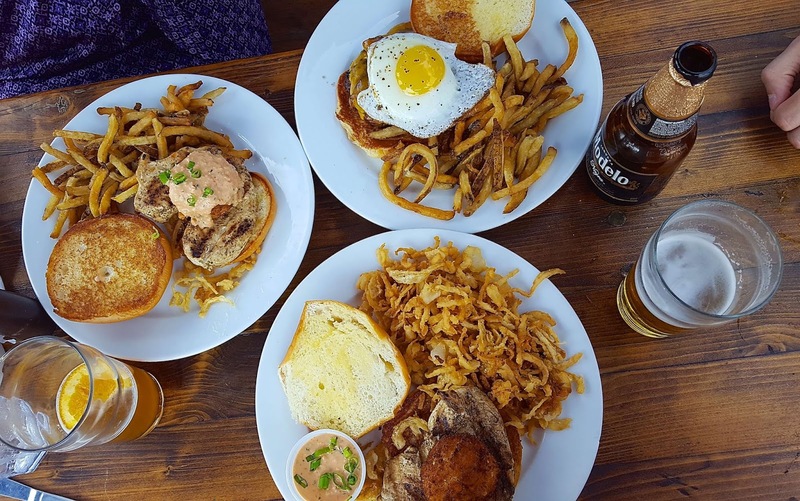 You've got me craving a burger now, specifically one that's served out on the perfect patio with an ocean breeze. I definitely need a burger from Poe's, asap! Sounds like such a fun weekend!!! So glad you gals had a blast! Looks like such a fun weekend. I love Charleston so much! 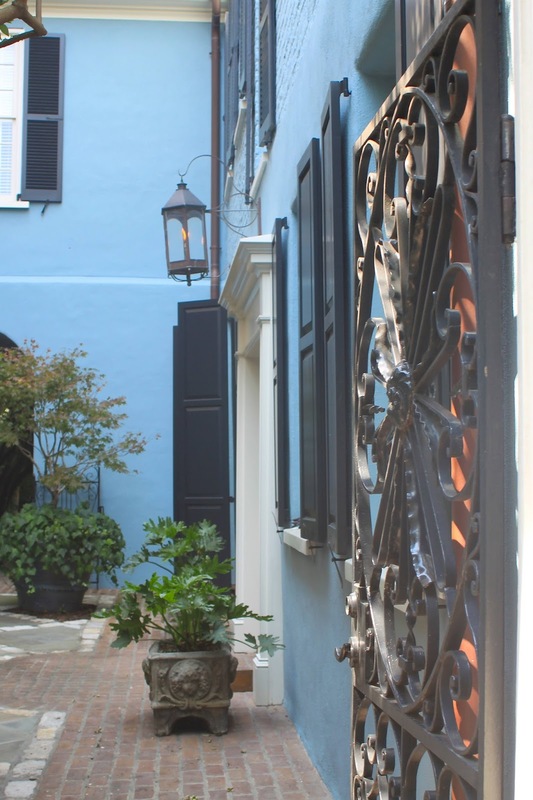 Gah I love Charleston and it looks like you gave her the perfect city tour!!!! Looks like a really great weekend! I would love to go back to Charleston ASAP. Oh my what a great time to visit Charleston! It's so nice to instantly connect with people you know through blogging. I definitely view you as the expert on all things Charleston. Once the weather cools off a little more I'm headed that way! This sounds like the perfect Charleston weekend friend! How fun that Macy got to enjoy Charleston with you. Also how fun that you both got to meet up with Jacquelyn too! Such yummy sounding drinks and food, glad you guys had fun! Ahh what a great weekend! Love that you guys did so much good eating and drinking - two of my favorites! I want to try that Poe's Tavern. I hope to go to Charleston for fun soon. My father has relatives down there, so I go at least twice a year, but am usually expected to join in whatever the relatives are doing. There are a few restaurants that I am eager to try. Oh how fun, I just love Macy and hope to meet her someday! You ladies look beautiful and sounds like the best time! I'm so glad that you two finally got to meet and have an amazing weekend! And throwing Jacquelyn into the mix is a fantastic bonus! Love you all!